The John Lennon death, which occurred on December 8th 1980, has perplexed the minds of many individuals. Lennon was an English musician that gained an immense amount of fame when he founded the popular band, known as “The Beatles”. While in the band, he developed an extreme amount of popularity for displaying an outspoken nature. It was this nature that often resulted in a high level of controversy surrounding the rock band. Many music professionals believe that it was his behavior and words that redefined the rules surrounding accepted behaviors by those involved in a rock group. The John Lennon assassination occurred at the opening of the building where he resided in New York City called “The Dakota”. Immediately upon returning from the Record Plant Studio, a man by the name of Mark David Chapman shot and killed the famous artist. Here, you will learn many important facts surrounding the John Lennon death. In order to understand the significance of the John Lennon death, we must first examine the life of Lennon. While it is true that John was quite popular while in the Beatles, his popularity quickly increased when the group broke up in the year of 1970. It was during this time that John Lennon placed an emphasis on social activism and making his thoughts and beliefs known through long interviews. Many have accounted his personality as being “Messianic” in nature. He was also known as being a bit on the inclusive side, yet displayed a high level of generosity, calmness and inner tranquility. 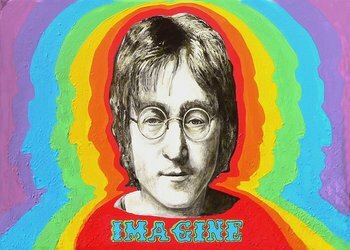 When it comes to music, he is best known for what is often referred to as his “International Anthem of Peace”, the song “Imagine”. No one at this time would have ever imagined that a man by the name of Mark David Chapman would soon be held accountable for the John Lennon assassination. John Lennon desperately desired to acquire a Green Card for the United States. However, the government – particularly the Nixon Administration – was a bit paranoid about his true intentions. They believed that he would become a sort of political leader in the States and would recruit individuals in the anti-war movement that was occurring throughout the nation. Because of this widespread belief and paranoia, many members of the United States Government attempted to have him deported. Despite this fact, Lennon pursued the legal complications and succeeded. It was in the year of 1976 that he was officially provided his Green Card. His son, Sean, was born and Lennon took approximately five years off with his wife, Ono to focus on his family. By the time 1980 rolled around, he and Ono were placing their efforts into a comeback album called “Double Fantasy”. It was an album that would focus on their years together as a family. Unfortunately, on December 8th of that year, a man by the name of Mark David Chapman shot Lennon and the pop icon tragically died in a violent manner – despite all of his years yearning people to be peaceful. At approximately 5:00pm on December 8th, John and Ono left their apartment to go to Record Plant Studio. It was there that they planned on mixing Ono’s song called “Walking on Thin Ice”. In the transition from their apartment to their limousine, many fans approached the couple in order to acquire an autograph. One of the individuals in the crowd was a man by the name of Mark David Chapman. At the time, Chapman served as a security guard in Honolulu in Hawaii. He was just twenty five years old. According to records, Mark David Chapman intended to perform the John Lennon assassination in October of 1980. However, he elected not to perform the devastating task at that time. When Mark David Chapman approached Lennon, he handed him a copy of the album, “Double Fantasy”. John then signed the album and asked Chapman if that was all that he wanted and he nodded. A photographer named Paul Goresh took a picture of this encounter between John Lennon and Mark David Chapman. In the year of 1970, it is said that Mark Chapman turned his life over to Christ by becoming a Christian. He claimed that when Lennon made the statement in the year of 1965 that the Beatles were “more popular than Jesus” that he engaged in the act of blasphemy. 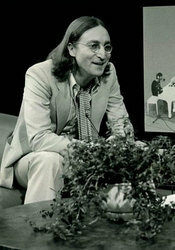 He was also quoted in singing an altered version of the song “Imagine”, saying: “Imagine John Lennon dead.” When John and Ono returned to their apartment building, “The Dakota”, later that night, Mark David Chapman was seen standing in the shadows located near the archway by the doorman of the building, Jose Perdomo. 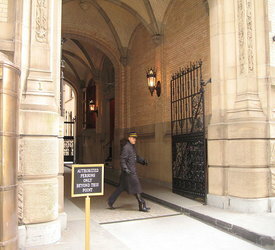 The doorman observed Lennon, who acknowledged the presence of Chapman, in passing. Immediately thereafter, he confirmed that Chapman aimed a weapon at Lennon’s back. Perdomo would never imagine that the John Lennon death was about to occur. In rapid succession, five shots rang out. The initial bullet missed Lennon completely. However, the bullets that followed led to the John Lennon assassination that has shaken the world since that terrible December night. A total of four severe gunshots resulted in the death of John Lennon. All were considered to be quite serious, but two were identified as being fatal. The two that resulted in Lennon’s death were the ones that obstructed the left lung as well as the subclavian artery. By this time, John was bleeding in a profuse manner. According to witnesses, the popular musician made his way up a total of five steps prior to collapsing on the floor. As he collapsed, a large number of cassettes that he was carrying scattered on the blood-filled floor. In the meantime, police were being summoned to the scene. It is said that Mark David Chapman started removing his jacket and his headpiece in order to prepare for the arrival of the local law enforcement officials. In the midst of all of the chaos associated with the impending John Lennon death, Mark David Chapman appeared to be apathetic. When asked if he understood what he just did, he calmly replied with the answer of: “Yes, I just shot John Lennon”. 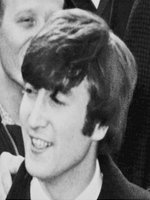 When police arrived, they discovered the man responsible for the John Lennon assassination calmly holding a copy of the book titled “The Catcher in the Rye”. In later interviews, the mysterious murderer claimed that his life was mirrored after the official protagonist of the book, Holden Caulfield. John Lennon was then taken to the Roosevelt Hospital, where he was pronounced dead shortly thereafter. It was at that time that the cause was identified as “Hypovolemic Shock” – which means that he had lost over 80% of the total blood volume of the body. To say that the world was shaken by the John Lennon death would be an understatement. Grief was poured out from many places worldwide. The music of both the Beatles and John Lennon immediately skyrocketed in sales. In the year of 1981, Mark David Chapman officially pleaded guilty to the John Lennon assassination. Naturally, he was issued a sentence of life. However, because of the fact that he entered an official plea of being “Guilty”, he would become officially eligible for parole after only two decades. Since the year 2000, he continues to receive denials at his parole hearings. He is currently serving time at the correctional facility known as the “Attica State Prison”, in New York. Prior to his trial, he was deemed “Delusional”, but it was determined by the Bellevue Hospital that he was competent enough to stand trial. While it is true that Mark David Chapman was officially charged in the John Lennon assassination, many believe that the murder was part of a conspiracy. It is a mystery in itself that a self-proclaimed “Born-Again Christian” would murder the legendary singer just because he seemed to lack a disbelief in God. It is even more of a mystery that the murderer would model himself after a protagonist in a classic story. However, to further complicate the mysterious events surrounding the death of John Lennon, many believe that his death could have been a result of a government conspiracy and that Mark David Chapman was actually programmed by a service, such as the CIA, to carry out the murder. John Lennon’s file with the FBI indicates that the legend was under consistent surveillance, he was often followed and his phone in his apartment was actually tapped. While many referred to Mark David Chapman as a psychotic killer, those who knew him previous to the John Lennon assassination stated that they would never suspect him of engaging in something as horrific as the murder of Lennon. However, despite his lawyer’s attempts to enter in a plea that involved insanity, Chapman elected to go with the guilty plea. When asked why he was insisting on the change, Mark David Chapman informed his attorney that he was making the decision based on a “small male voice” that instructed him to do so in his jail cell. Is it possible that the assassin of John Lennon was, in fact, under the control of an experiment that played on his mind? Was the John Lennon death a result of a conspiracy, or a crazed psychotic loner? That remains to be one of the greatest unsolved mysteries of all time.